While it always seemed odd Warner Bros. would craft their own take on Rudyard Kipling's 1894 collection of stories that spurned a 1967 animated Disney film that was recently re-made by Jon Favreau it is becoming all the more clear that Warner Bros. take on the material couldn't be more different than the light, largely comedic tone Favreau and team took with their realistic-looking 2016 feature. In his second directorial effort, following what was the rather standard, but kind of terrible Breathe last awards season, Serkis has gone fully over to the blockbuster realm of filmmaking of which he has had plenty of experience. When putting it in perspective, the guy has worked with a for directors ranging from Peter Jackson to Steven Spielberg to J.J. Abrams and of course, most recently, Ryan Coogler, and so it is natural for Serkis to have segued into crafting his own visual wonders while exercising his storytelling skills as well. 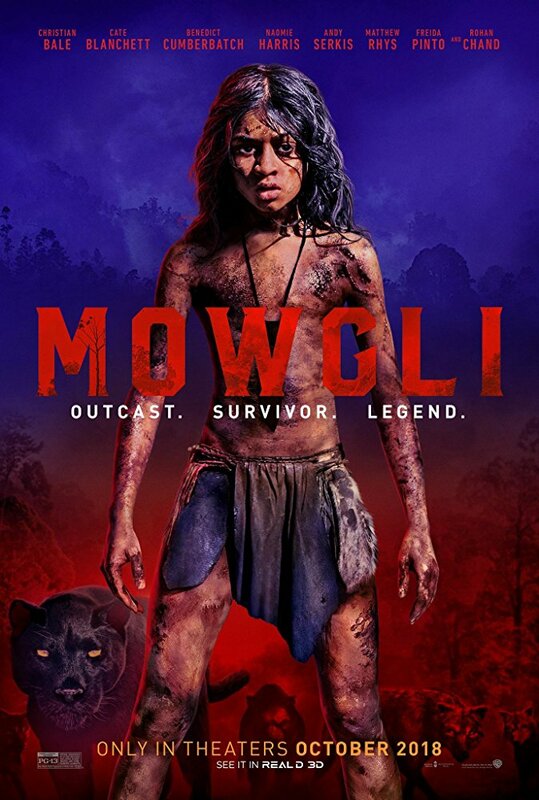 And to be honest, Mowgli looks more impressive than I was anticipating with what is clearly some work left to be done on the CGI, but with as killer a cast as Warner Bros. has assembled to bring this to life and the tendency to lean more into the source material it will be interesting to see how this similarly inspired, but what is so clearly a vastly different finished product varies from the other iterations of Kipling's work. Watch the first trailer below along with a behind-the-scenes featurette. The film stars Serkis as Baloo, with Rohan Chand in the titular role as well as Christian Bale as the cunning panther, Bagheera; Cate Blanchett as the sinister snake, Kaa; Benedict Cumberbatch as the fearsome tiger, Shere Khan; Naomie Harris as Nisha, the female wolf, who adopts the baby Mowgli as one of her cubs; Peter Mullan as the leader of the wolf pack, Akela; Jack Reynor as Mowgli’s Brother Wolf; Eddie Marsan as Nisha’s mate, Vihaan; and Tom Hollander as the scavenging hyena, Tabaqui, and Freida Pinto. Mowgli opens October 19th, 2018.